Beautiful country property with 5.5 acres and detached oversized 2+ car garage! 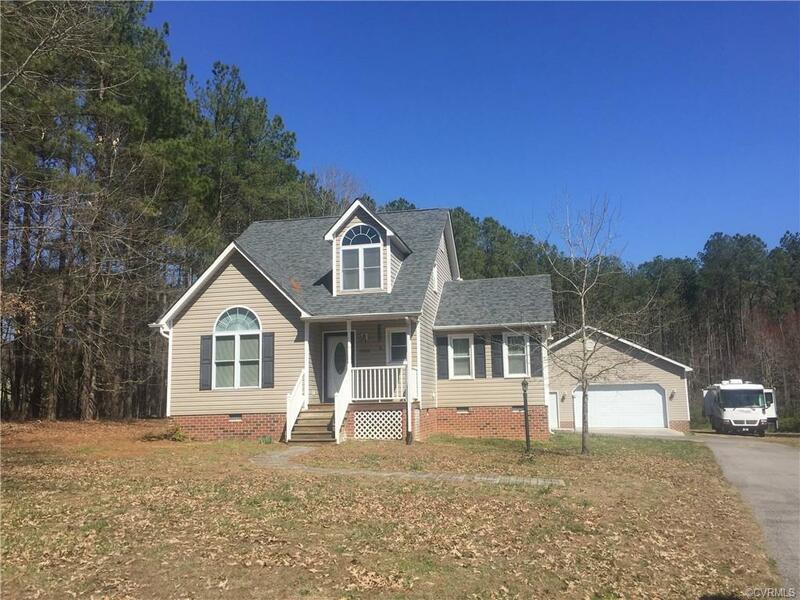 This home features 3 bedrooms, 2 1/2 baths, living room, family room and eat in kitchen. Guys will love the large garage, it has electric and has automatic double door as well as a single garage door on the rear. Brand NEW roof and new HVAC system installed in June 2018 so you don't have to worry about any of those big expenses, they've been done for you! New refrigerator, range and washer/dryer that all convey. Sellers have pulled up carpet in family and living room and hall that will be replaced with new laminate flooring we will also run the new flooring throughout the kitchen and half bath. They will also be installing a new back door and replacing some deck boards and steps on back deck as well as some interior trim repairs. Carpet was also removed from 3rd bedroom upstairs, they will leave that to buyers to install their own carpet, as buyer may want to run all same throughout the upstairs. This home has been priced low with this in mind, priced $9,000 below assessed value! Come see this great, affordable property! Directions: 85 South To Exit 51 Merge Onto 460 West For 8.5 Miles Then Turn Left Onto Courthouse Rd, Go Approx. 1.5 Miles And Property Is On Left.